Man. What a whirlwind. 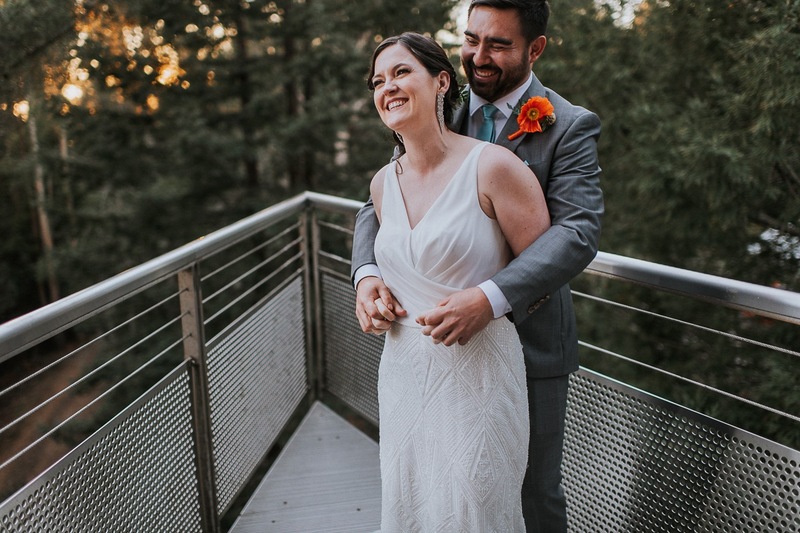 It’s pretty unusual that I meet + photograph a couple two times in just under a month, but I definitely wasn’t surprised by how lovely Adrianna + Rhys’s wedding was after how unreal their Point Reyes engagement session just a couple weeks prior was. When these two walked me through their wedding plans as we were exploring the Pacific Ocean cliffs - a first look in a Redwood grove, a ceremony beneath a planetarium dome, and a reception capped off by karaoke instead of dancing (#islandsinthestream) - I knew it was gonna be an awesome time... it was even better than expected.